Blood pressure is determined by the amount of blood your heart pumps and the amount of resistance to blood flow in your arteries. The more blood your heart pumps and the narrower your arteries, the higher your blood pressure. 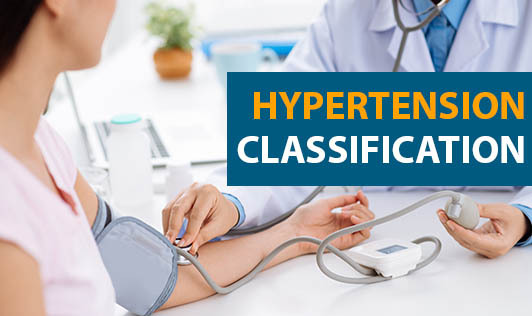 High blood pressure or hypertension typically develops over many years, and it affects nearly everyone eventually. Fortunately, high blood pressure can be easily detected. The exact causes of high blood pressure are not known. Several factors and conditions may play a role in its development, including smoking, being overweight or obese, lack of physical activity, too much salt in the diet, stress, older age, genetics/family history of high blood pressure, chronic kidney disease and adrenal and thyroid disorders. Hypertension is also called the ‘silent disease' as there are no symptoms. Some people may suffer from confusion, headaches, ear noise or buzzing, tiredness or even vision changes. See your doctor right away as these may be signs of a complication or dangerously high blood pressure called malignant hypertension. Treating high blood pressure involves lifestyle changes and possibly drug therapy. Your doctor may also tell you to exercise, lose weight, quit smoking and follow a healthier diet (eating more fruits, vegetables, and low fat dairy products, less salt, less saturated and total fat). See your dietitian for a personalized diet chart suited to your lifestyle and eating habits. After the blood pressure goal is reached, you should continue to see your doctor every three to six months, depending on whether other diseases such as heart failure are present.